Container modifications help improve the utility and level of comfort of your container. Sea container modifications are available for both new and used containers, including everything from lockboxes, ramps, air vents, and custom paints, to double, roller and personal doors, shelving, windows, and electrical fitouts. The modifications below can help increase your container’s value and convenience. All spaces are custom made, according to your directions and desires.  This unconventional living solution is slowly seeping its way into public view. The shipping container is an affordable solution to the traditional housing options. 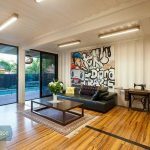 Nowadays, containers are a viable office spaces, granny flats, homes, sound proof studios, retail spaces, apartment buildings, garages, barns, and pool houses. 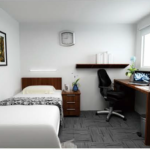 We can customise and configure the accommodation units to suit your needs. Never heard of a container kitchenette? Well, you’re probably not the only one. Kitchenette containers are an affordable, stylish alternative to a connected kitchen space. They exist for the sake of creating space in small or overcrowded homes, and businesses. At Sea Containers, we offer modifications to convert your container into a functional and good looking kitchenette. The alteration includes fixtures such as sinks, countertops, shelving, cupboards, and much more. We work with you to implement a suitable floorplan and kitchen design. You can also request to make the kitchenette container mobile. This is a handy option for businesses where there is constant travel. If you require a clean and modern bathroom space for your business or home, Sea Containers are happy to help you out. We install all the necessary fixtures, like sinks, toilets and showers, and plumping, to give you an alternative to the flimsy outdoor toilet units endemic to construction sites. Further modifications, such as electrical outlets, can be made at a reasonable price, increasing the ease of usage. Our handy canteen containers are a viable solution for creating small food outlets on campuses, events, worksites and camps. These containers are delivered fast, durable and can be transported time and time again via our self-pack service. We can modify the container to include a personal access door, partitioned storage section, additional windows, insulation, air conditioning, and the basic kitchenette layout in which you can prepare and serve food. With your new and tailored canteen container. Your switch room container would be modified with reliable air conditioning, personal access emergency doors, insulation, and any other safety modification you may require. 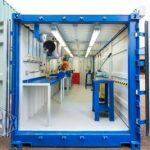 The switch room container is sturdy, weatherproof, and suitable across a range of industries, including construction, mining, and energy, among others. 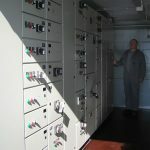 Our container are a great way to protect the electrical heart of your business. If you need an affordable and convenient work space, the workshop container might be for you. 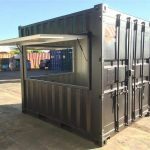 Whether you lack the space at home, or need a quiet place to yourself, to focus on your hobby or home business, a modified workshop container will fit you brilliantly. Sea Containers can modify the container to offer you the ultimate peace of mind and comfort. We can start off with a work bench and air conditioning, and take it from there. Insulation is one of the most important requirements in modified and unmodified containers. 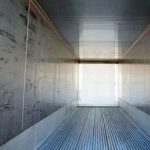 Just as the temperature inside your home determines how you feel, the temperature inside a shipping container may affect the goods, or even people, in the container. The temperature of your container will be dependent on the environment it is kept in. For harsher environments, insulation will be a definite add-on. This is particularly the case for site offices, workshops, switch room and accommodation containers. 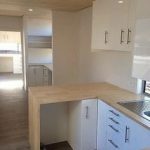 For many occupied containers, including the accommodation, bathroom, and kitchenette containers, flooring is a required investment. We transform the container into a comfortable space, with a variety of designs for you to choose from. The flooring will have to fit your requirements, and be functional for the purpose of your container.